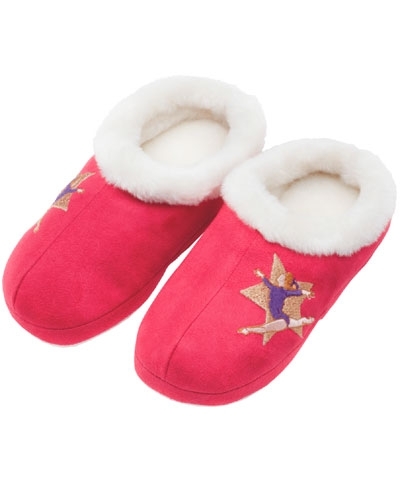 Fuchsia Split Leap Microsuede Bedroom Slippers. Cozy fleece lined Microsuede slippers can welcome a gymnast home after a hard workout. 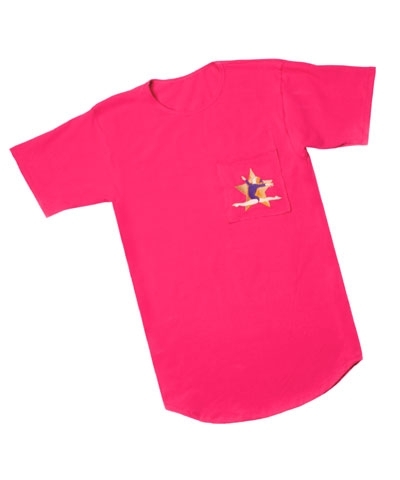 Top them with matching nightshirt and you a have a Gymnastics fashion plate. Soft cotton covered vinyl soles will tread gently across all floors. Slippers and nightshirt feature an exclusive TEN.O split leap embroidery design.